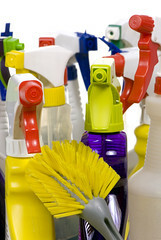 sure that your working environments are clean and tidy and that there is always a nice fresh smell in the air. This will help ensure that any clients or visitors are given the right first impression every time. Our office and commercial contract cleaning in Richmond business has been based upon the solid principles of good value for money, a good job well done and regular effective communication. That is why we at First Choice Cleaners Richmond office, offer to complete a trial period before asking you to commit to us, giving you the chance to see proof of our professionalism and reliability, and peace of mind that you are receiving the best Office Cleaning service regardless of which part of Richmond you are located in. We have a wide range of clients in most areas of Wimbledon, including: Richmond Hill, Richmond Green, Queens Road, Petersham Road, Kew Road, Ham Common, North Road, Sheen Road, St Margaret’s areas, to name just a few.